So, sugar, like for many, has been my crutch, my celebration, my friend and my foe. Now I’ve seen the movies that say that sugar is in most of the food that we buy from the supermarket shelves and that it became so because fat was the world’s number one enemy and was in all the foods we bought. So, we needed something cheap and tasty to replace the fat with – cue sugar. Now, don’t get me wrong, sugar was around long before this. But when we consume it daily, without even realising it, we can form a habit, a taste for it, or, dare I say it, an addiction. 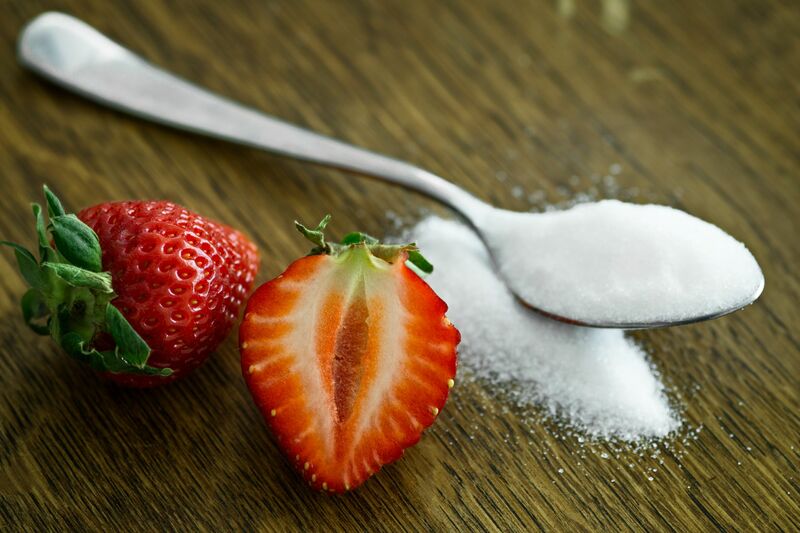 Scientists Volkow and Li in 2004 found that sugar causes changes in peoples’ brains that are similar to those addicted to other drugs like alcohol and cocaine (http://sugarscience.ucsf.edu/the-growing-concern-of-overconsumption.html#.W6IVBegzbIU) . Why is this? Sugar stimulates the feel-good receptor of dopamine in our brain. We literally feel good by eating it, for a moment anyway, until we hit the crash. Apparently (https://www.businessinsider.com.au/evolutionary-reason-we-love-sugar-2014-4?r=US&IR=T) we were designed this way to give us a greater chance of survival in our hunter-gatherer days (eating sugar enables us to store fat easily and therefore reduce our chances of death by starvation, increase our body temperature, etc…). There was little sugar around then compared to the prolific sugar content in most of our foods today, yet our chemical reaction and craving for sugar remains. But are our bodies’ craving for sugar always related to the desire for a sweet treat? No, apparently our sugar cravings can be due to other imbalances in our body – gut bacteria, vitamins and minerals, proteins, etc… and there of course are the non-scientific reasons like needing energy, self-medicating any uncomfortable emotions, distracting ourselves from feelings or body sensations…. But unfortunately, if you want to give up sugar you could suffer withdrawals. Like any other drug, side effects can include headaches, nausea, restlessness, lethargy, irritability, etc… but don’t let that stop you because the benefits are endless. One of my favourite cafes in Nelson here, the Kitchen, had a quote up on their wall last time I was there. It read: “the food you eat can be either the safest and most powerful form of medicine or the slowest form of poison” Ann Wigmore. © 2014 Mind over Matter Ltd. We believe that for someone to copy our work is the greatest compliment, however we do ask that you do the descent thing and reference appropriately.